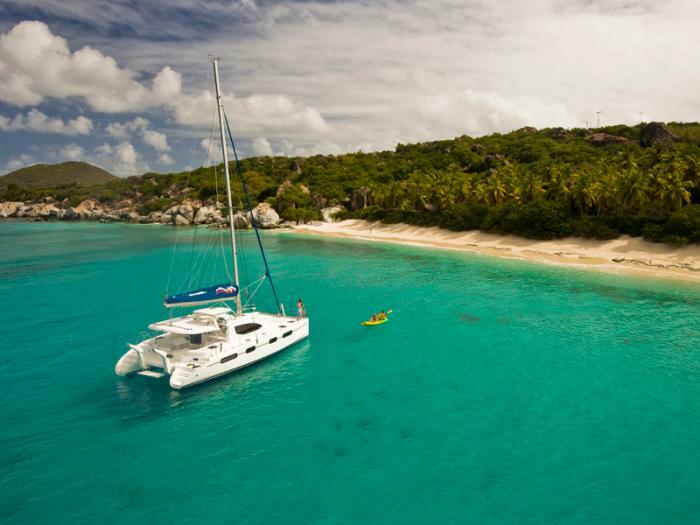 From luxury jets to luxury yachts! So I didn’t get to go on one of the round-the-world expeditions – not that I was holding my breath to go on a $65,000 fam tour! As a leaving present from TCS & Starquest, I had a sightseeing seaplane tour of Seattle, so I suppose I did get to go on a plane of some sorts. Not that that really mattered anyway, as I had a fantastic placement at a brilliant little company. I finished by presenting my work to the senior management team, and received great reviews from my lovely line manager, Karen. I was actually quite sad to be leaving, as I had made some good friends and really enjoyed working there, but I was also massively looking forward to getting back to the UK as I had spent the entire placement without Amanda, my (very patient and understanding!) wife. As quickly as I had arrived, I was off again for placement number 5 (this time with Amanda) in the British Virgin Islands…swapping 3 months of UK winter blues for 3 months of Caribbean sunshine! 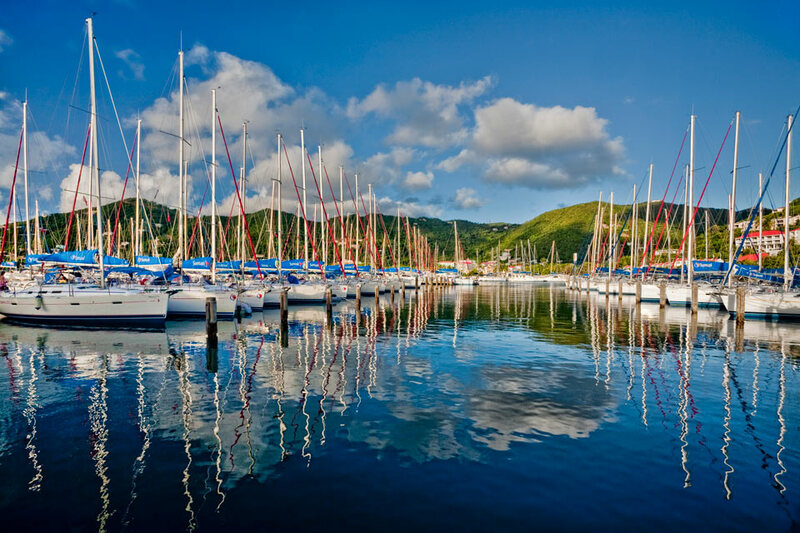 I’m now in the Marine division, working at the Tortola base – with over 400 yachts it is the largest fleet in the world. 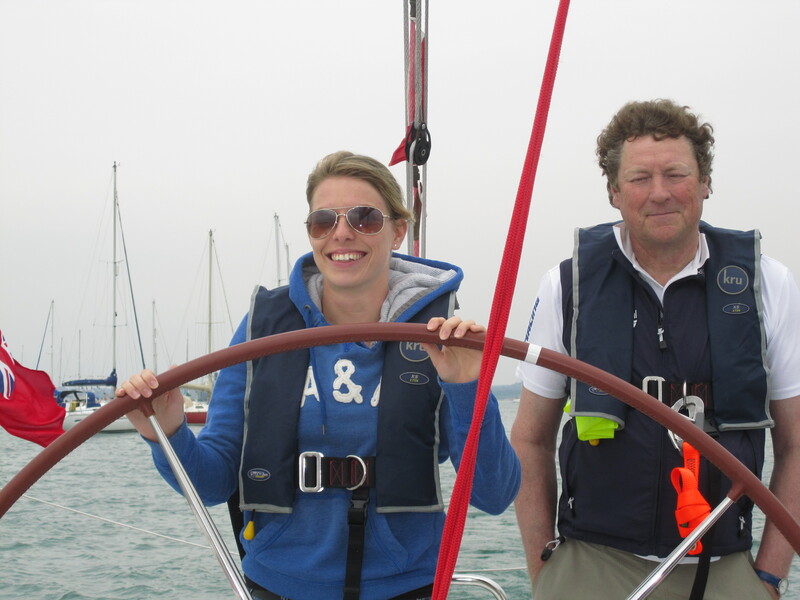 In a much-craved operations placement, I’ve been tasked with kick-starting corporate sailing, as there currently isn’t any. It will be a challenging project, having to start from scratch and working more or less solo, but combined with beautiful scenery, gorgeous weather and a little beach-front apartment that I now call home, it’s one that I’m relishing. I finally have my first placement abroad and find myself in Seattle; home of Boeing, Microsoft, Amazon, Starbucks and Nirvana. I would also say Frasier, but actually that was filmed in a studio in LA. 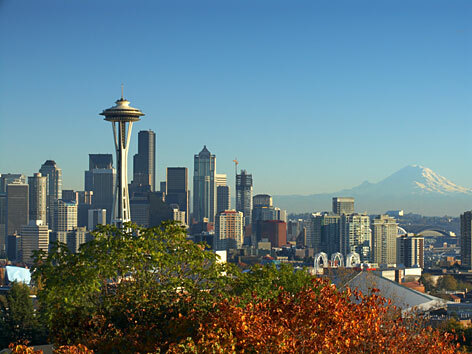 More importantly, however, Seattle is also the location of TCS & Starquest, part of the North American Specialist division, where I am now based. As we in TUI so often talk about differe ntiated product, not many can beat theirs for experience or expense, as they offer round-the-world private jet trips at prices where if you have to ask, you probably can’t afford it. So it’s great that I’m working on such exciting products but I highly doubt there’ll be much opportunity for a ‘fam’ tour! Unlike my other placements, the company is a small one – about 30 people, and more relaxed and sociable, with lots of team lunches, a ‘candy drawer’, and even happy-hour on Fridays! And compared to my last placement where the view from the window was of Gatwick airport runway, I now have a 14th floor view of the harbour and mountains. I have been given 2 main projects; firstly to identify and recommend potential international markets to move into, as currently the company only sells within the US; and secondly to devise new tours types with different sized-jets (currently they only use Thomson’s 757 jets, which normally seat around 240 and instead seat 78 in business class) and different tour durations (one and two week tours as opposed to the usual 3 weeks). Duck-herding: the next big opportunity for TUI Sport? I’m going to start by saying congratulations to Ben, Benjamin, Deborah, Jennifer, Kelly and Laura who will join our graduate scheme in October, and like the 6 current grads had to beat off competition from about 1300 others, so well done! The only problem is that there will now be 3 Bens, which might prove a bit tricky. I’m over half-way through my third placement, in the Sport division and, like all of my placements so far, it has turned into something much different than I anticipated at the start. Originally I was supposed to be working on Eastern European distribution channels for our Euro 2012 products (TUI Sport is the official accommodation provider for UEFA Euro 2012). That quickly changed, however, and now I’m working on launching Emirates Live in Scandinavia. Emirates Live is a TUI-owned joint venture with Emirates Airline selling sport tour packages, and I have been tasked with the market research, business plan, website launch and profit & loss account – all within 2 months! So as you can imagine I’m not short of things to keep me occupied, and as part of the project I’m soon off on a whistle-stop trip to Copenhagen to meet up with the Danish TUI Sport businesses, who will host the website and run the venture operationally. I’ve already met Camilla, the MD of one of the businesses (and a double Olympic gold medallist no less!) at a recent Sport conference, where, along with lots of presentations from heads of all the Sports businesses globally, we indulged in falconry, archery, shooting, buggy-car racing and sheep-dog herding with ducks! Never a dull moment eh?! So that’s another placement that has absolutely flown by. I finished my demographic report, which kept growing and growing and ended up being a bit of a monster, and so I produced a far more digestible version to accompany it. I’m really pleased with the result, and have learned a lot about the type of customers that go on Specialist & Activity holiday experiences – I could argue that I now know more about our customers at a sector-level than anyone else! To have gained such a good understanding of who our customers are has been an invaluable opportunity for me, and one of many opportunities that I have had throughout the last 3 months. At the beginning of the placement I was able to meet many different national tourist boards by going along with Nigel (my line manager) to his various meetings – Brazil, Austria, Cyprus to name a few. Although this wasn’t so much a practical nor learning experience, it was an interesting one nonetheless, seeing how each of them operates according to their own cultures and practices. 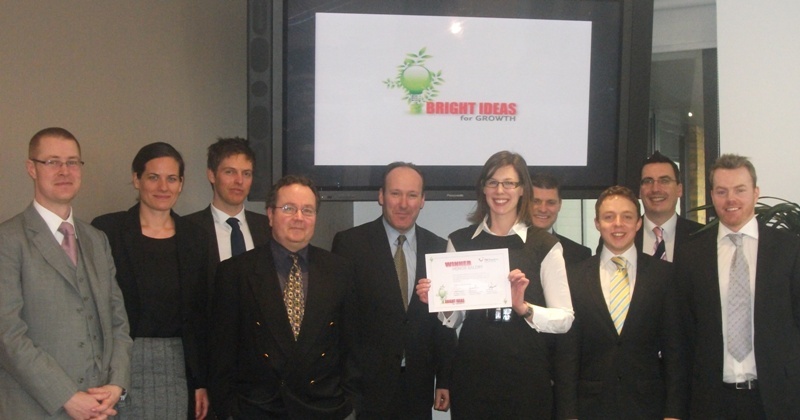 I was also fortun ate enough to get into the final of the Bright Ideas for Growth competition, with my idea for over-50 activity travel, beating off competition from dozens of other entries in the process. Although I didn’t win the competition overall, it was yet another great opportunity, a really enjoyable experience and hopefully gave me some good exposure – plus a £200 Amazon voucher and a bottle of bubbly sweetened the deal! Towards the end of my placement I was also lucky enough to go to the TUI Group headquarters in Hannover to represent the Specialist & Activity Sector at a social media conference, with representatives from TUI businesses across Europe and senior Marketing & Communication representatives from TUI Group. We are already half way through our second placement now, and yet again it has raced by! I am working within the Marketing and Partnerships department at sector level, rather than at a brand level – a change within the scheme that came into effect after we had started, but a worthwhile one I believe. As we are the first ever Specialist and Activity Sector graduates, we are very much the guinea pigs and as a result both we and our graduate team have to learn from our experiences and adapt to them and the resulting changes – in fact when we started the Sector itself was different to what it is now! My role originally was to look at customer journey mapping for the education sector and help develop marketing partnerships for brands across the sector, but staying true to theme of change, my primary task has now evolved (due to a chance conversation) to look at identifying the UK customer demographics of the sector – no mean feat with over 100 brands! This role is very different from my last placement in that it is less technical and more creative in approach, and although I enjoyed the last placement, as I am this one, to compare them would be a chalk-and-cheese scenario. As this is a sector-wide placement, I am based in the head office at TUI Travel House, and by a stroke of luck my desk is beside Ben’s. Being based here I bump into the most senior people in the division on an almost daily basis and even often having lunch with them, which at first seemed a little strange but now it has become so common that it is quite normal. It’s a great experience being surrounded by so many top-level managers and hopefully I’ll be leaving a positive and lasting impression on them! Jon reflects on everything he’s learned in placement one, with Crystal. So it’s all over for me, placement 1 has a fork stuck in it, done! 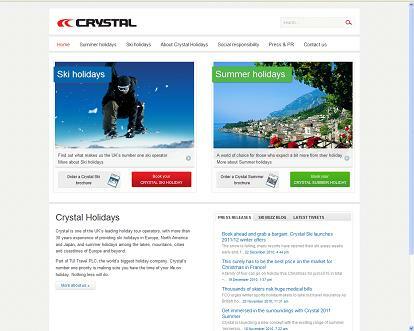 The website is fully completed and operational WWW.CRYSTALHOLIDAYS.CO.UK just to shamelessly plug it! When I look back to the beginning of the project I was a little overwhelmed by the scale of the project given my complete lack of website knowledge and experience, but I feel very proud of what I have learned and achieved. The project overcame many challenges; the Christmas deadline, which was considered highly unachievable by some, was achieved; the Press and PR section, which apparently hadn’t been in existence since 8 years ago, provided a new location for press releases; and perhaps most challenging of all, where there were greatly conflicting opinions, compromise on solutions was reached. Many people have congratulated me on how great the site looks, and although much credit has to be given to Justin Slack, my partner in crime in South Africa who built the site, it still feels great to have such recognition from other colleagues. Even though I am still a very long way off from calling myself a web expert, and I probably never will be able to laud myself with that term, I now have the confidence to be able to approach similar tasks in the future with much more assertion. After completing the project I spent time away for the Christmas break with my family and my wife down in Devon, which I still fondly call home. Despite thoroughly enjoying the placement, ever since our induction week in Lake Garda it has been a very busy period for me, as I’m sure it has been for all of us on the scheme, and so it was nice to be able to switch off for a while. I was also lucky enough to spend the first week of 2011 in Flaine in the French Alps, where I met with the General Manager of France, Switzerland , Andorra and Spain as well as other area and resort managers, and of course was able to indulge in one of my passions – snowboarding! So now I’m into the final week of my placement, which has involved my end-of-placement review with DJ, my current line manager and also a meeting with Nigel, my soon-to-be line manager for my next placement starting at the end of January. This one will be a sector-wide placement rather than a divisional one, and will involve developing marketing partnership opportunities with national tourist boards and other third party partners. In between now and then, though, we have a learning and development week that will be the first time all six of us on the grad scheme will have been together since our induction week, so I’m looking forward to meeting them all again and hearing how their placements have been! Jon’s on the home straight and considering the challenges of finishing a project in the world of the web! The end is in sight! 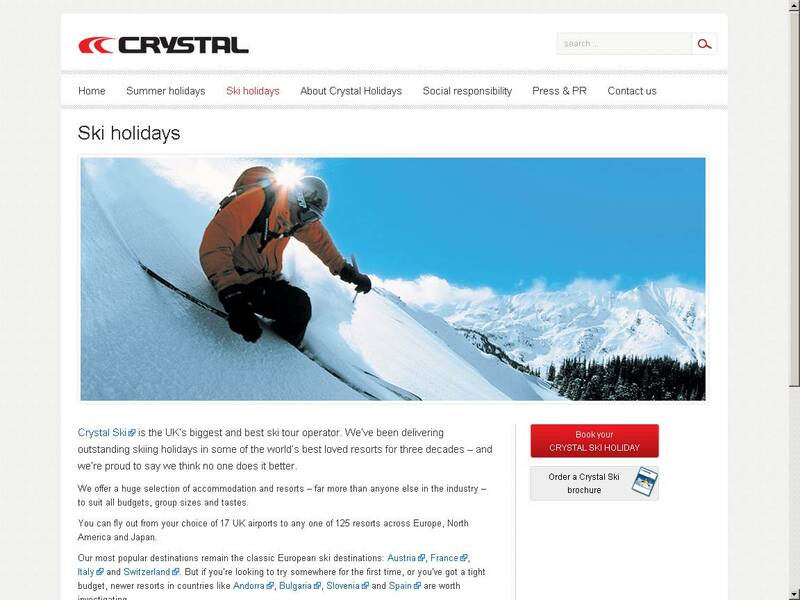 I am within touching distance of finishing the re-design of crystalholidays.co.uk, yet there are still seemingly 101 little bits and pieces to finish before it can go live. I will freely admit that I am not very technology-minded at all, and so at each stage of the process I have had to learn how things work and what all the technical jargon means before even attempting to do anything! I am sure my lack of understanding and experience has been apparent to most people, and where perhaps it hasn’t, I have had to spill the beans that I am in fact a complete novice at project managing anything to do with the web! Rather than face frustration by my shortcomings, however, I have been pleasantly surprised by people’s understanding and support in helping me through the project.